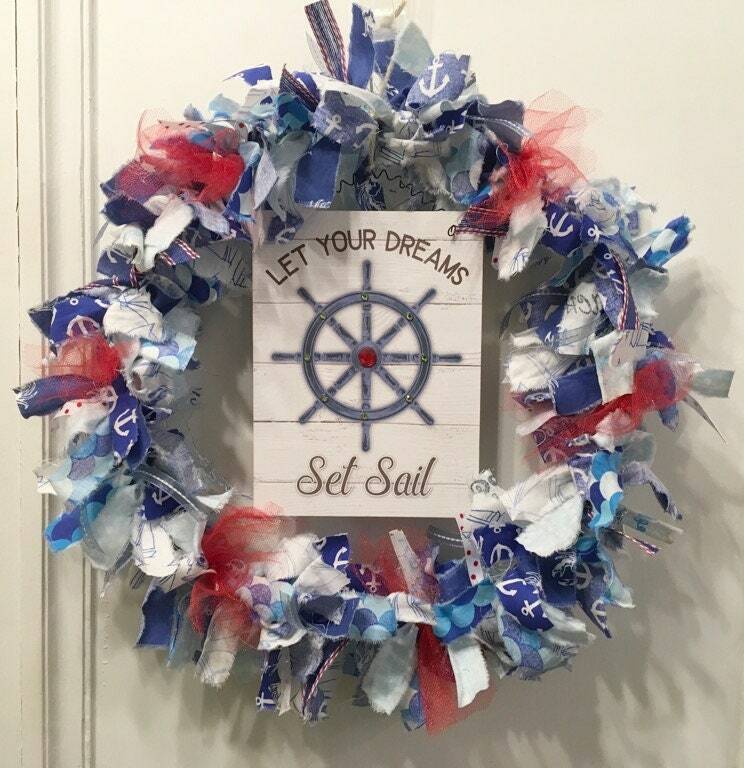 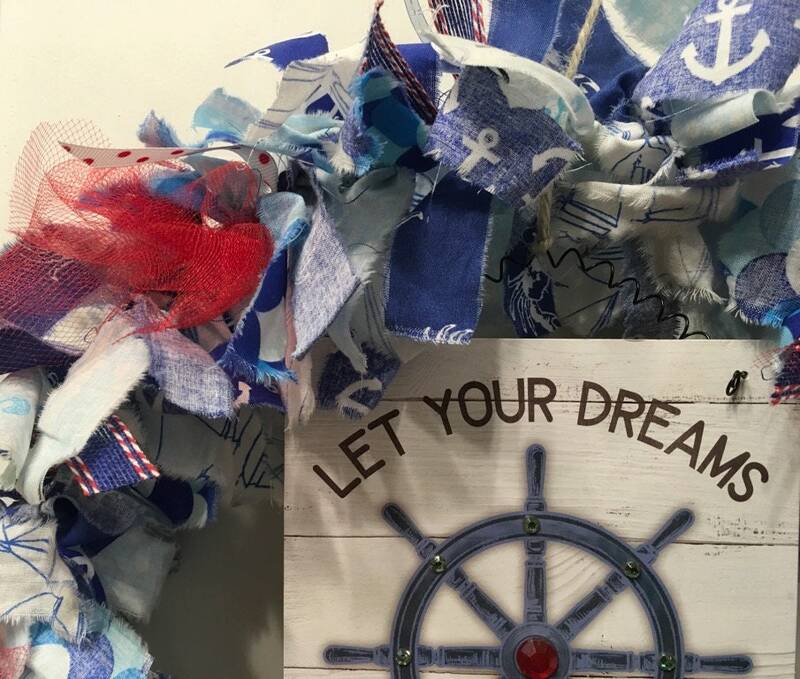 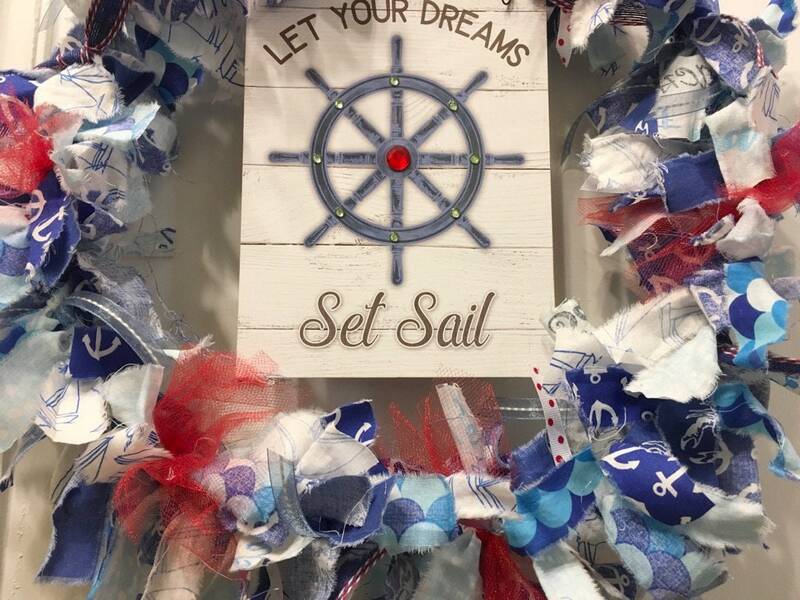 This fabric, ribbon and tulle coastal beach themed rag wreath is created on a round 14” metal ring. 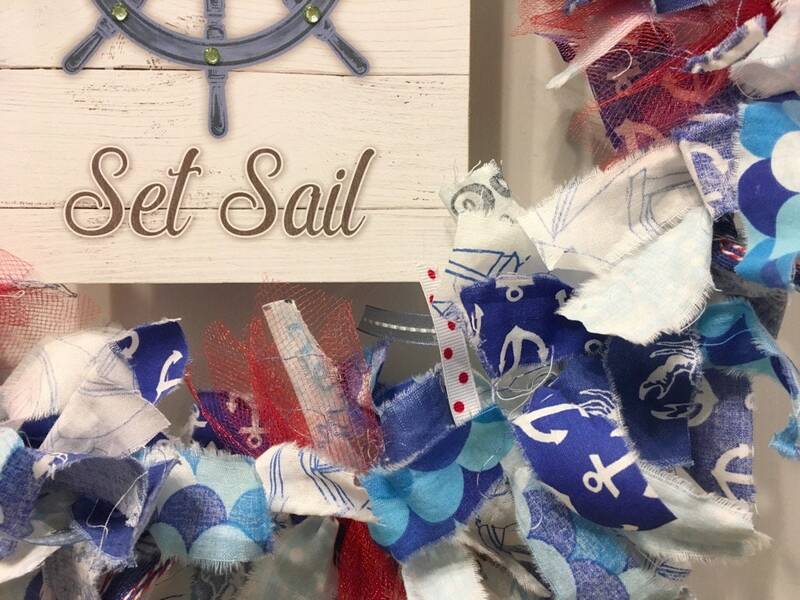 In soothing navy, aqua blues, and turquoise, it features sailboats, boat anchors and Summer text like ‘beach’ and ‘shore’. 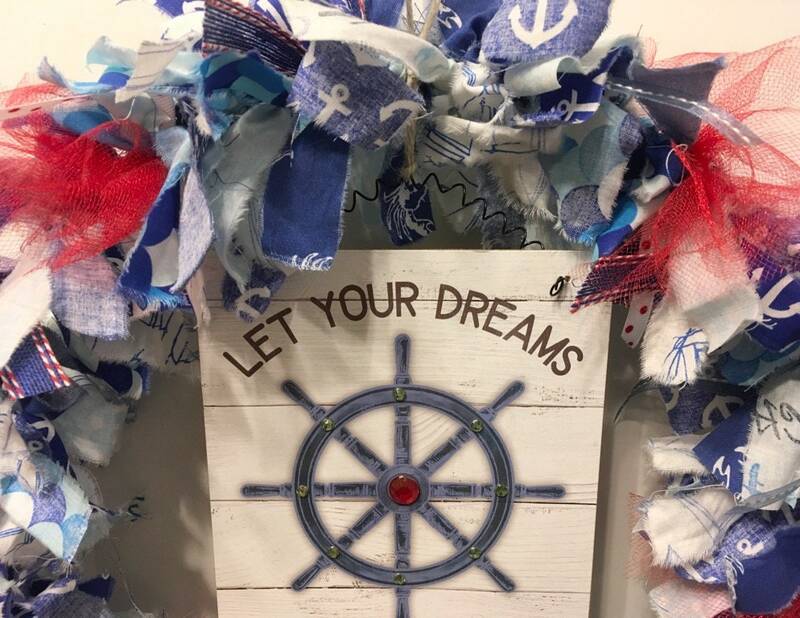 Lots of ribbon and red tulle add depth and texture to this wreath There are nearly 200 fabric and decorative ribbon strips. 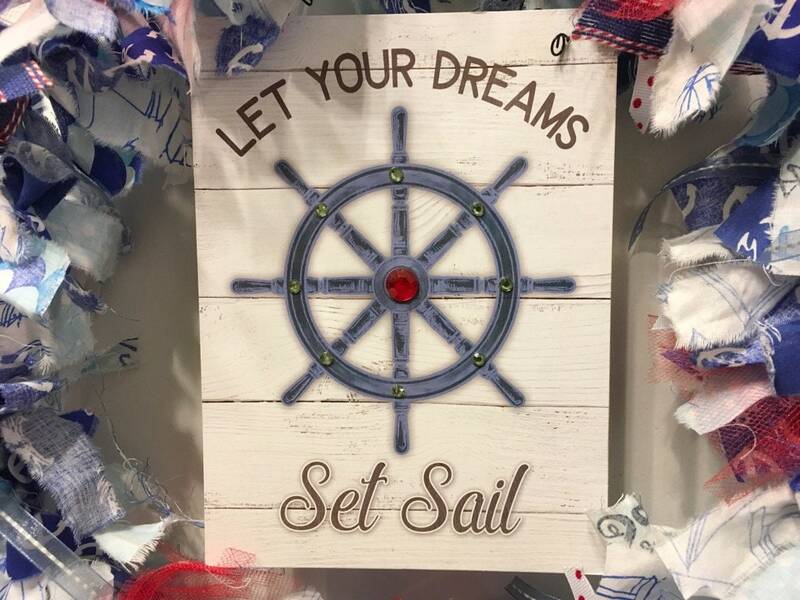 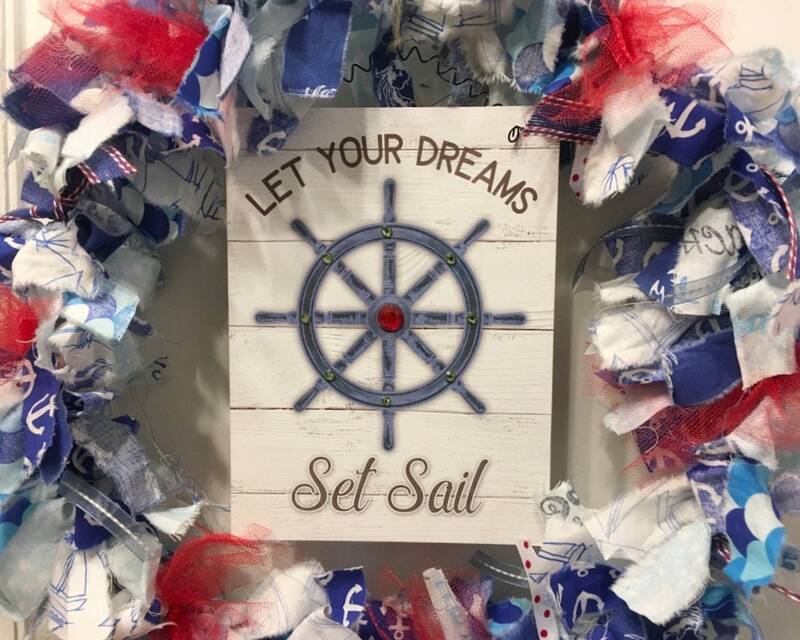 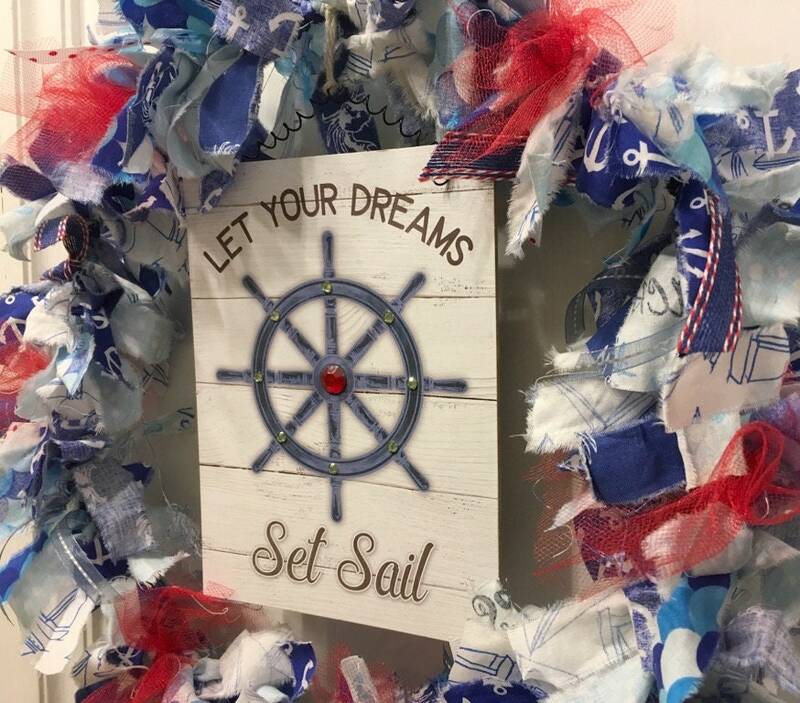 MDF wood ship’s anchor sign hangs in center and encourages us to “Let Your Dreams Set Sail”.